An evening of romantic dining and dancing! 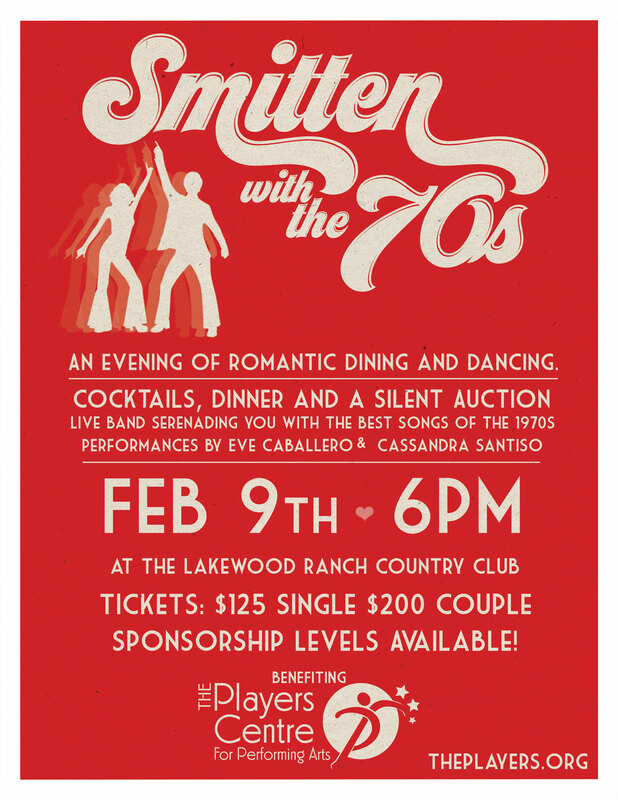 Cocktails, dinner and silent auction, live band serenading you with the best songs of the 1970s with performances by Eve Caballero and Cassandra Santiso. A benefit for The Players Centre for Performing Arts, Sarasota’s oldest arts organization and neighborhood community theatre. Call 941.365.2494 or visit us at theplayers.org for tickets. For information about sponsorship opportunities please email Morgan at MorganG@theplayers.org.